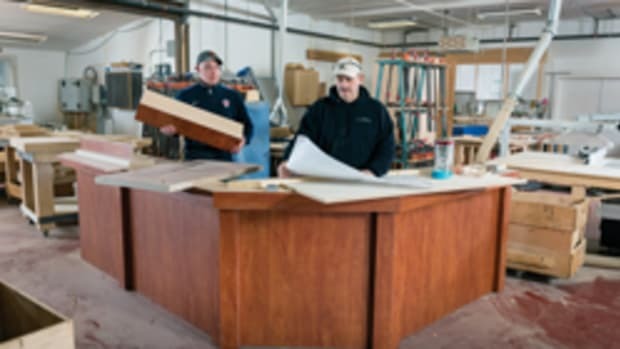 With about 50 employees, Out of the Woods Custom Cabinetry in Layton, Utah, is an example to smaller shops wishing to grow. About 11 years ago, the company started as a two-man operation. 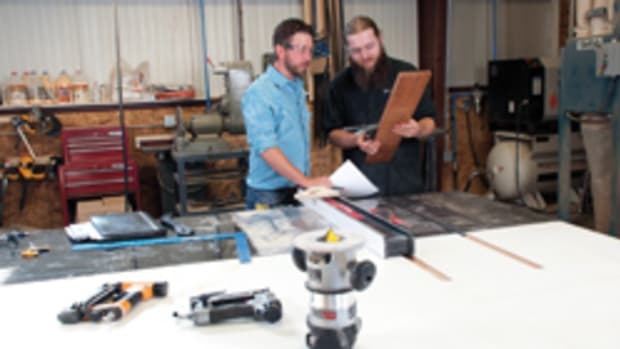 Based in a 24,000-sq.-ft. industrial facility in northern Utah, the business offers a wide range of design and build services. Tige Rhoades, an equal partner with Lonne Rasmussen, says the company caters strictly to the residential market, completing about 700 jobs per year. “The other two places I worked in before starting this business did commercial projects. Commercial projects just operate way differently than residential projects. They talk about retention and have different billing and progress payments. It’s just a different animal than residential work is. We just chose not to go there,” says Rhoades. 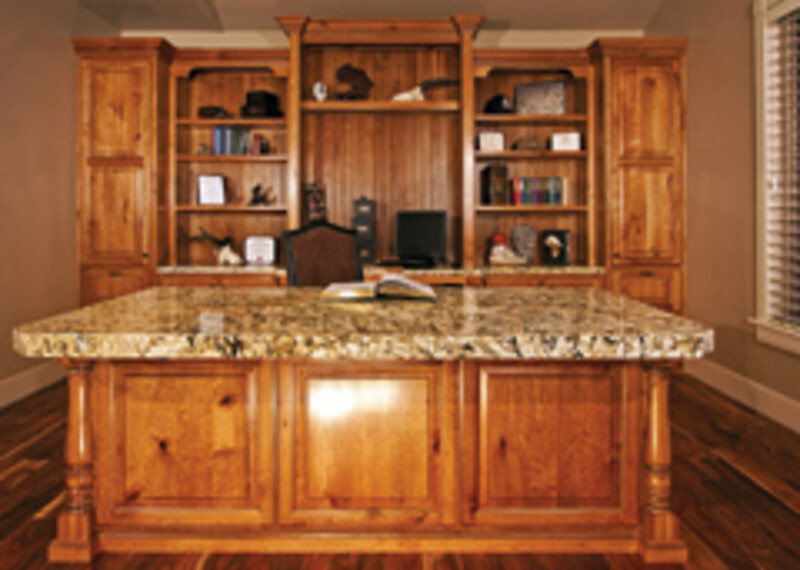 The residential niche also boosts consumer interest in the company’s in-house granite countertop fabrication operation, something the owners hope to expand upon in the near future. 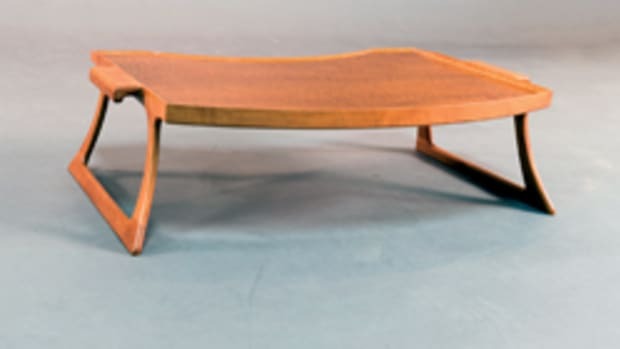 Rasmussen learned woodworking from his father, while Rhoades studied at the Ogden-Weber Applied Technology College in Ogden, Utah. The two worked together at Rasmussen’s father’s shop in the mid-1990s until Rhoades left to work for another cabinet shop. 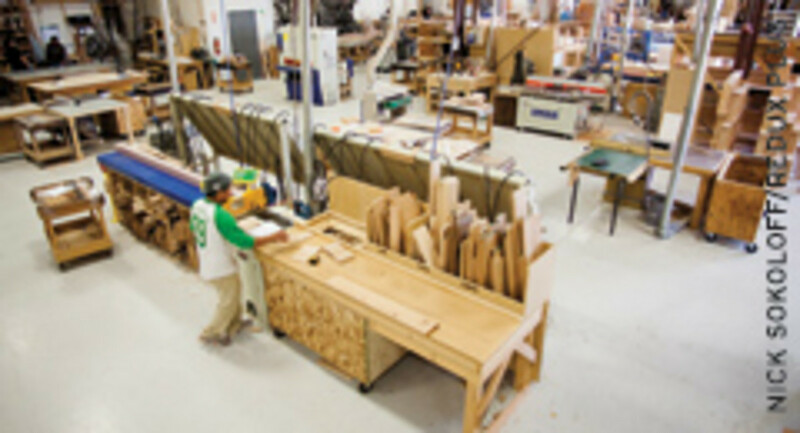 In 2000, Rhoades decided to start his own woodworking business and Rasmussen followed. 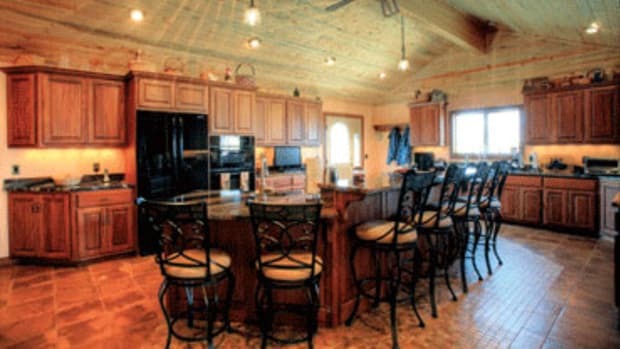 Early clients came through general contractors and builders that they already knew. But they made a point of not stealing former employers’ work so they didn’t burn any bridges. It was that type of integrity, along with standing behind their work, that built their solid word-of-mouth reputation that brings them frequent business today. While they do a fair amount of advertising through phone books, local flyers and home shows, referrals are their key source of business. Making clients happy is a big priority to both owners. Rhoades regularly monitors the volume of work and makes sure all projects are completed on time. Customers gravitate to the kind of service that separates the company from smaller ones with less manpower and fewer resources. “There are quite a number of small shops that will bid lower than us, but halfway through the project the homeowner will realize that they didn’t look into what the business had to work with and whether they could back up their promises. I understand what goes on because there was a time when I was working out of a shop at my house, too. I have had people come back and say they decided not to use us and regret it,” says Rhoades. The company currently enjoys a steady four- to eight-week backlog, about half sourced directly from homeowners. These are generally middle-class individuals with homes ranging in value from $200,000 to $500,000. Most reside within an hour’s drive of the shop, primarily within Davis County. Rhoades says the company rarely goes beyond its established market because then it would be more difficult to adjust installed work, a follow-up service on which the shop prides itself. 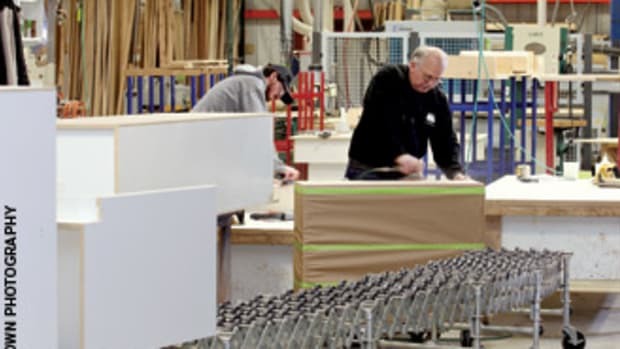 The scope of furniture and cabinetry products offered goes well beyond kitchen cabinets and living room built-ins, but each order usually starts there. 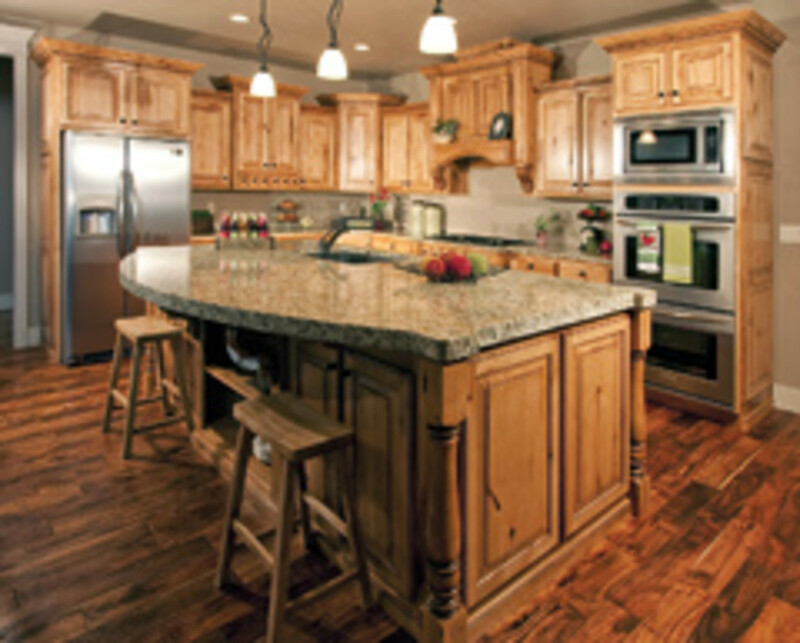 “I think one reason customers come to us is because they are always building a new house or remodeling an existing one and they want new cabinets and countertops. 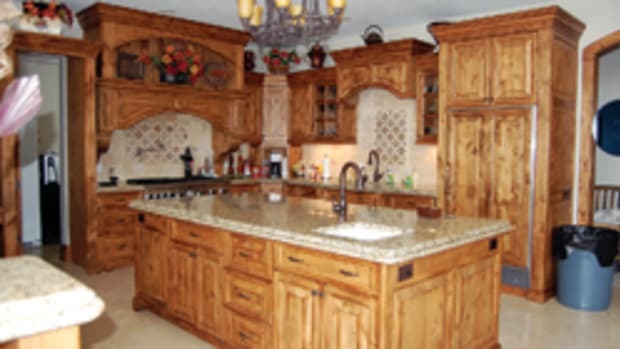 Kitchen cabinets are 95 percent of our work. 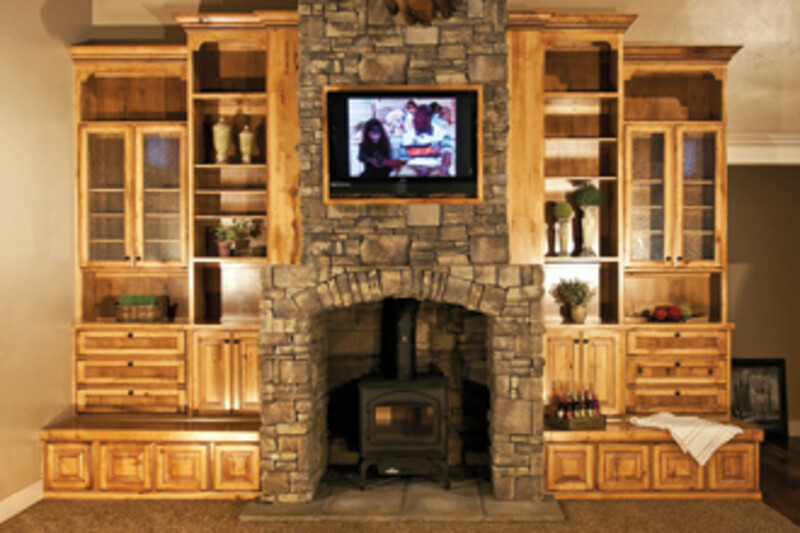 But then later on they want a fireplace mantle or entertainment center to match what we’ve already done,” says Rhoades. 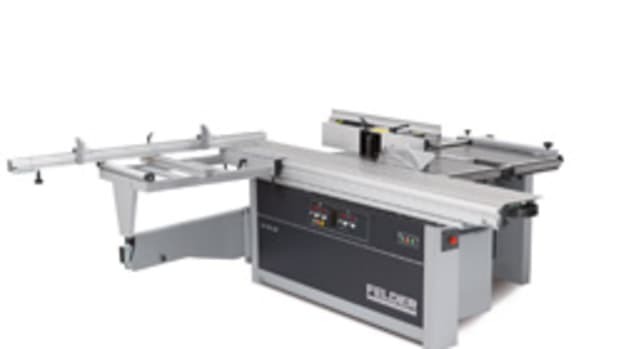 The massive shop features a Weinig Unimat 500 molder, multiple High Point upcut saws, a SawStop table saw, a Unique 250 door machine, an Accu-Systems MMTJ door machine, a Bütfering wide belt sander, an Altendorf sliding table saw, a Putsch Meniconi panel saw, a Dodds CNC dovetailing machine, a Brandt edgebander, a Blue Steel wide belt sander and numerous Delta shapers. The shop floor measures about 19,000 sq. ft. Most of the remaining space is used for offices by the design, management and sales teams. There’s also a large showroom, displaying dozens of sample kitchens where clients can select the design and finish that’s right for them. “The woods we work with are maple, alder, cherry, hickory and oak and the rustic varieties of the same five. Our clients mostly want rustic alder with a stained finish and a commercial varnish topcoat. Lately, a lot of people have wanted a completely white, perfect-looking cabinet,” says Rhoades. Rasmussen oversees the company’s marketing efforts and manages the four-person sales team. 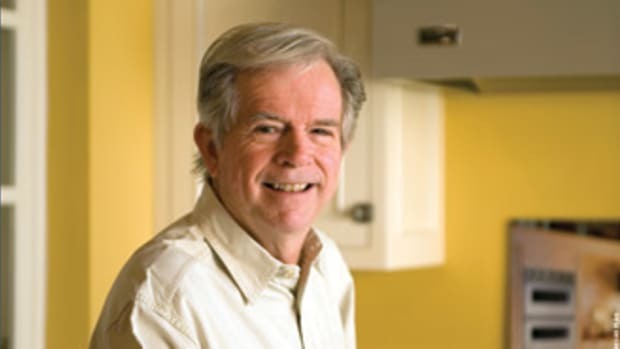 He spends most of his time building business-to-business relationships, such as working with appliance and home accessory companies that allow him to display marketing materials in their retail stores. Other employees in the sales department network with builders, designers and industry service groups to form solid relationships. Remaining on good terms with general contractors is another one of the company’s keys to success. It works with 12 of the region’s top builders on a regular basis. 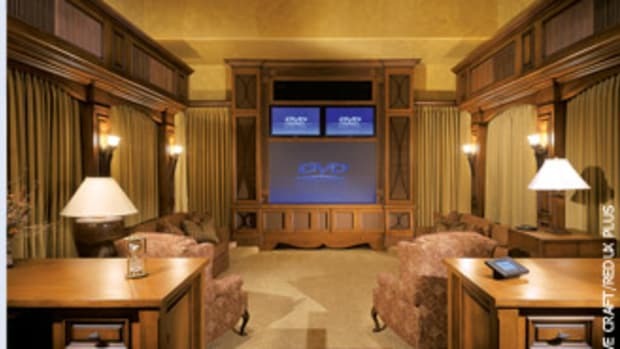 “When our contractors have a project going on, they will select us. They won’t call for bids. We have an active sales force and we’re constantly trying to build our pool of general contractors,” says Rhoades. The owners say they have a plan to drastically grow the company, which is on hold until the economy improves more. Rhoades and Rasmussen are very careful about staying within their means to remain in good financial standing. They have had to lay off employees through the years, but they always find a way to refill the vacancies when there’s enough work to justify hiring. They have also put off purchasing a CNC router, a machine some of the shop’s operations managers claim is essential. “One of the things that I think has been critical to our survival is that we operate on a budget. We have management reports in the company to tell us how we’re doing. Good business organization lets us cut our business down to the size that it really is instead of living outside of reality,” says Rhoades.